It's been a big month for me getting Aquaman stuff, both by purchasing it and other means. So I thought I'd do a multi-part post that shows off some of the stuff I've gotten recently that's Aquaman related. This is Aquasitions! 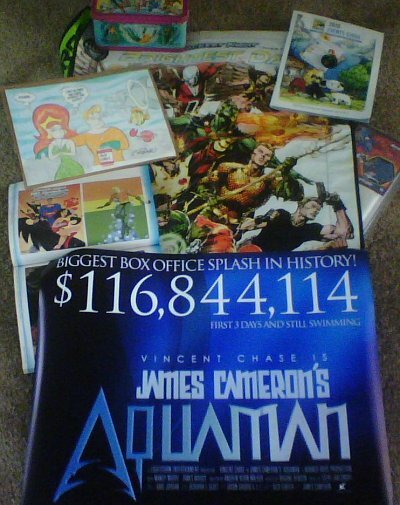 First up is the Entourage Aquaman Poster. I told you about the fan who made this poster based on the Variety ad in the show itself. He limited the run of posters to 25 copies, and only made it so that he could have one for himself. In gratitude for me mentioning the poster, he sent one to me. I got lucky 13 of 25. I have to admit, it's a really nice little poster, the exact thing I wish HBO had made for the series. 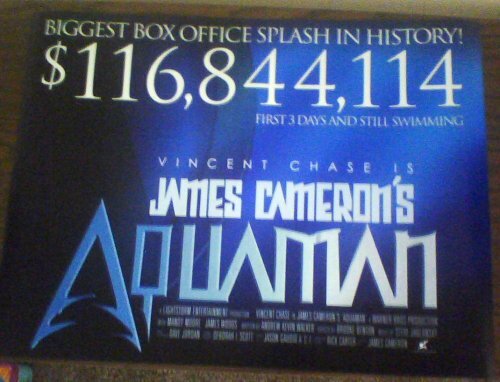 I don't think they realized that merchandising the fake Aquaman movie would have worked so well. The demand was, and is, there for posters and T-shirts. Back to the poster, it really needs to be properly framed. 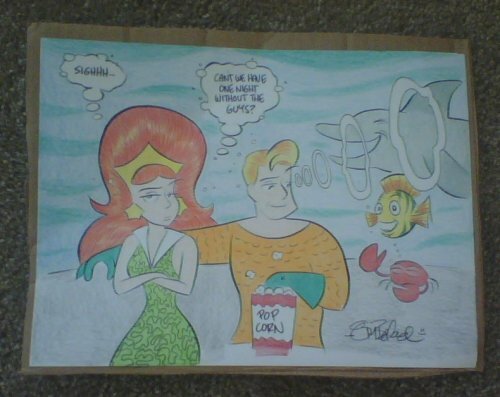 Next up is the Commissioned Artwork that Tom Beland produced of Aquaman and Mera. All the way from Puerto Rico, this artwork is great to have in my collection. Like the poster, it needs to be properly framed. I have a great desire to get my artwork up on my walls again, and just haven't done it. The third object of interest for this post is my Starro Aquaman Heroclix. I'm sorry about the fuzzy image. My phone doesn't take good close-up pictures, I'm afraid. This one came about because I noticed it on eBay going for cheaper than I'd seen it at any convention. I wanted it, and I indulged just a little and got it. 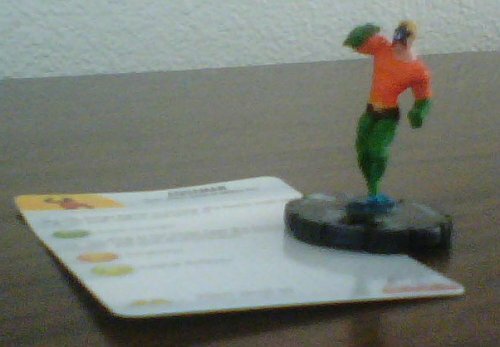 I'm still missing a few Aquaman-related HeroClix, including the Crisis Aqualad, Garth, and Tempest, the Arkham Asylum Black Manta, and the two pogs. But I'll get 'em eventually. I hope. Moving on, let's hit one more from the bit picture before I go. 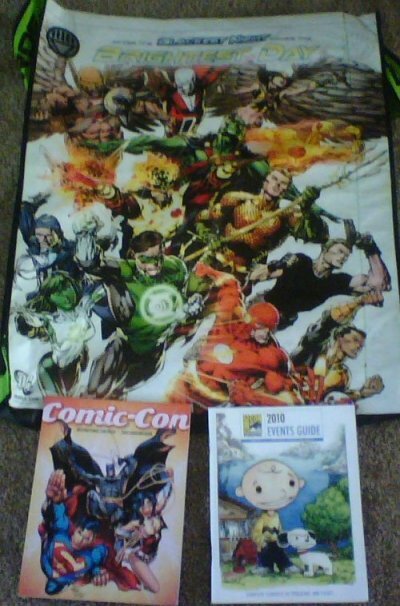 This is the San Diego Comic Con convention bag. I asked if someone going to San Diego happened to run across one of these, if they might get it for me. The wonderful David Oakes found one while wandering (apparently a little girl didn't want to lug it around any more) and sent it to me after the con, with jokes about how the little girl might still be in it because it weighed so much! It's apparently designed to hang on your chest so you can just drop all the stuff you are buying and picking up into it. 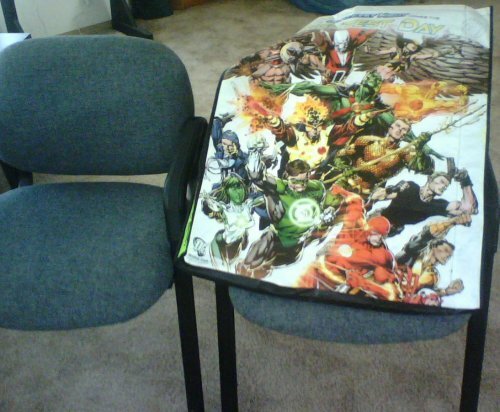 There's even a side pocket that appears to be designed to hold posters. So that's it for this edition of Aquasitions. Watch this space. In a day or so, I'll reveal something else.